Magnetise Media was tasked with promoting Nokia’s Music Store among music enthusiasts. 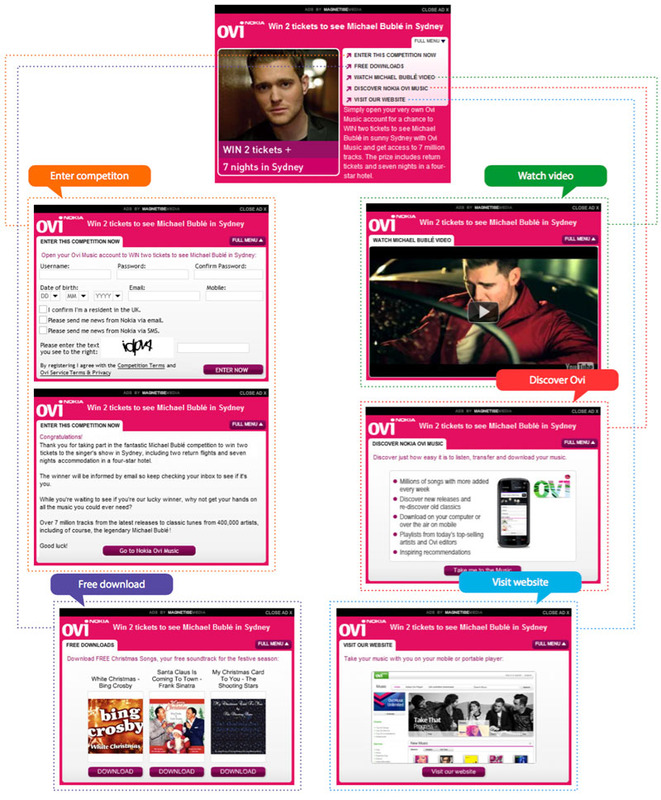 The key aim of the campaign was to drive exposure, engagement, registration and downloads on Music Store. Magnetise Media worked with media partner Muzu, the music social network, to host a multi-action creative campaign. The creative was exposed to a targeted audience, who were offered an engaging creative that perfectly fitted the Nokia Music Store offering. Magnetise Media’s campaign provided a variety of engagement possibilities. 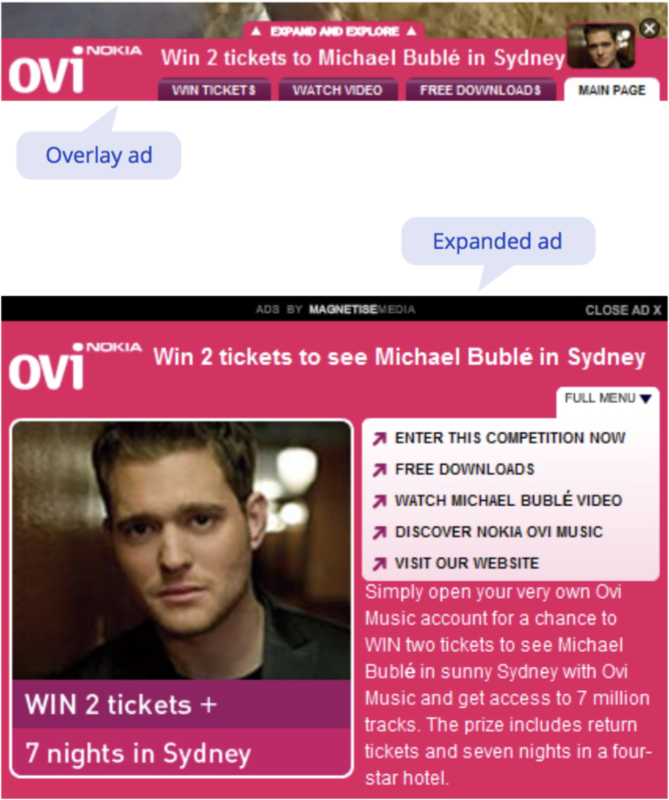 The multi-action ad unit contained links to watch videos, access free music downloads and a promotional call to action to win tickets to a Michael Bublé concert. The multiple actions available, combined with compelling and user-friendly rich media format, drove consumers to become much more involved with Nokia’s Music Store. The campaign was deemed a real success with an impressive 39% of consumers who clicked fully completing that action, proving a high value post engagement rate. The most popular options explored were the free music downloads and registering for competition entry.